American Apparel has had its fair share of controversies recently. From getting chastised for asking for "real models, not thots" to allegedly using fired employees in an ad, American Apparel just can't seem to catch a break. The company's most recent scandal? 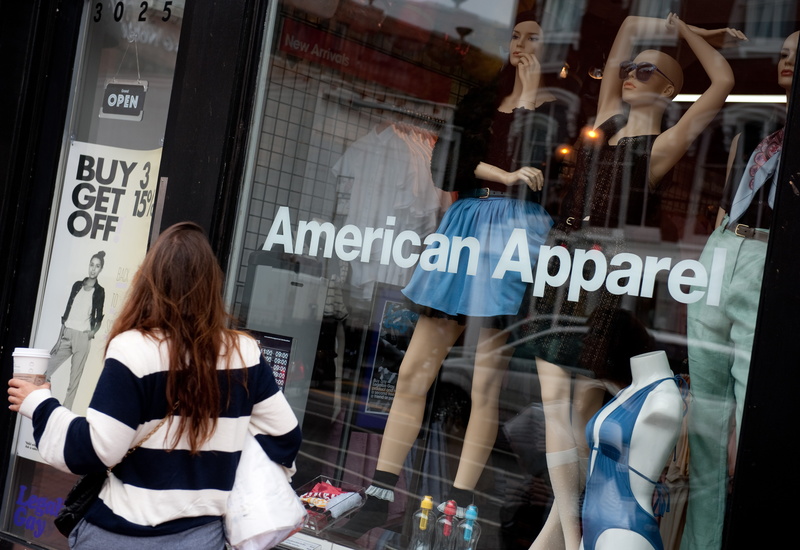 Three former employees are suing American Apparel for layoffs, claiming that they did not receive a sufficient warning. Carlos Hirschberg, Cesar Antonio Palma Cordero, and Dominga Valencia are claiming that American Apparel did not give employees the 60-day notice for mass layoffs as required by the Department of Labor's Worker Adjustment and Retraining Notification Act. They are also claiming that American Apparel tricked employees into signing agreements releasing any and all claims against the company. American Apparel has a different story. "These claims are absolutely without merit. Workers' rights and respect for our employees are core principles of American Apparel. This is clear from our Code of Business Conduct and Ethics, which reflects our efforts to ensure that American Apparel's workplaces are free from harassment, bullying, and intimidation, and which promotes fair treatment of employees and compliance with labor and employment laws. We are dedicated to a culture of free speech and social commentary," said a rep for the company said in a statement. Only time will tell who will come out ahead on this one, but American Apparel probably needs to get its act together because I'm not convinced that all publicity is good publicity.